1. 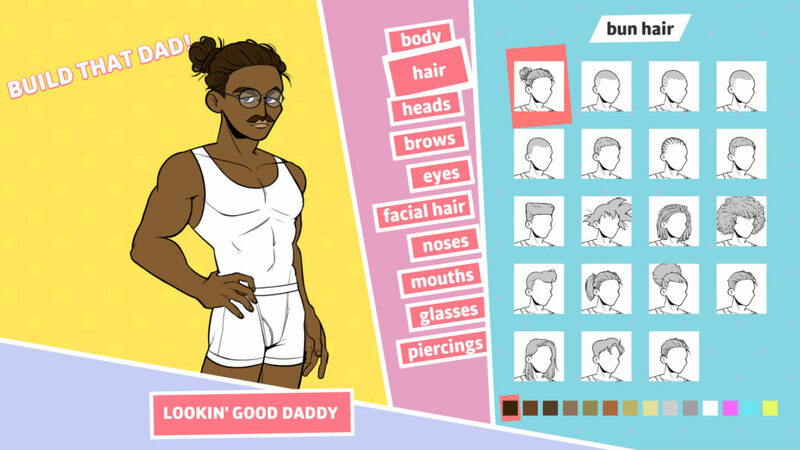 Dream Daddy is a “dad-based dating simulator” developed through Game Grumps by Vernon Shaw and Leighton Gray. The idea first began when Leighton Gray, co-creator of the game, asked the question: “What would I be like if I were a dad?” Drawing inspiration from furry culture and Fursonas, she and her friends began drawing “Dadsonas” for fun. But the idea to create Dream Daddy only came much later, when Gray went on a Disneyland trip with Hot Pepper Gaming’s Vernon Shaw and the two started to put this unholy dating sim together. 2. The game‘s story takes place in the fictional town of Maple Bay. The story begins when the main character moves into the neighbourhood with his daughter, only to discover that all his neighbours are single and dateable dads. Their names are – from left – Robert, Damien, Craig, Joseph, Mat, Hugo, and Brian. Each date path promises multiple endings, mini games, and truck loads of dad puns. 4. The game was announced (aptly) on Father’s Day and was extremely well-received. And I mean, extremely well-received. 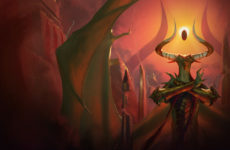 Even though there are still three weeks left until the game is officially available to play, it already has a dedicated fanbase behind it, launching the announcement to the top page of every online gaming news portal, trending on Tumblr and even Twitter. 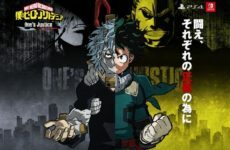 There is even a fan-made subreddit if you’re interested! 5. The characters in the game are voiced by none other than Game Grumps and friends. However, it also has been revealed that it mostly involves “grunting in various emotions”. Who woulda thought? 6. They have already announced their first non-dad character in the game! Amanda is the main character’s daughter who will be voiced (or grunted?) by Erika Ishii. Erika has previously done voiceover work for video games Master X Master, Warmachine Tactics, Driftgirls, and Crypt of the Necrodancer, as well as the English dub for the anime Skip Beat! You should meet your daughter first and foremost. Everyone, this is Amanda. 7. Players will be able to customise their own “Dadsona” to best represent their inner dads. 8. Dream Daddy‘s Twitter account promises a fatherly figure whenever you need one. As quoted from Vernon Shaw, “The idea of a Dad as we are using it is the idea of, basically, caring about other people. Investing in people and wanting the best for them.” Looks about right! 9. The game will contain a lot of dad jokes, but it will also hold a lot of meaning. In an interview with Zam, the game’s creators Gray and Shaw revealed that although dad-jokes was one of their top priorities, they also didn’t want to dismiss the complexities of being a single father and also part of the LGBTQ community. 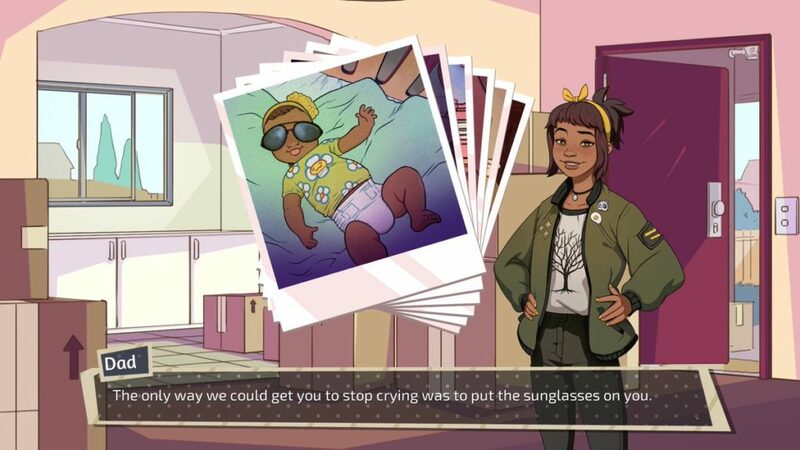 In the game, your character will not only go on a journey to meet cute dads, it will also be one of self-discovery, and bonding with your daughter Amanda before she leaves for college. 10. 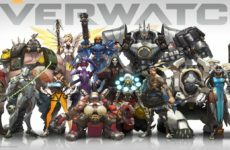 The game will be available for purchase for $14.99 on Steam on the 14th of July 2017! If you’re really excited, you can add it to your wishlist now!